The Socialist Party (SP) in Zambia has observed that capitalists abhor governments that empower citizens. Congratulating Venezuela’s President Nicolas Maduro on his second term of office, the party’s 2021 presidential candidate and deputy general secretary Fred M’membe encouraged him to continue working for Venezuelans. Maduro is due to be sworn in for a second term today. 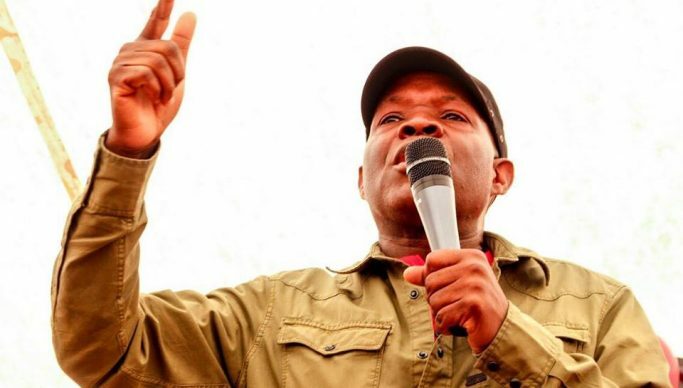 ‘’ Comrade Nicolás, receive our warm revolutionary congratulations from the Socialist Party (Zambia) on this day when you are assuming reigns for the second term of office to lead the great nation of Simon Bolivar,’’ Dr M’membe said in a statement. He highlighted how the Venezuelan revolution has transformed citizens’ lives. Dr M’membe stated that under a capitalist regime the country could not achieve what it has achieved today. ‘’Global capitalists loathe initiatives that make man strong. Capital hates universal dignity, it discourages any attempts at distributing wealth to all because such destroy niches that imperialists depend on for survival and exploitation,’’ he stated. He stated that America and other powers would never recognise and appreciate successes scored by the socialist government in Venezuela. Dr M’membe stated that apart from the noble citizens of Caribbean and South/Central American states, no one wanted to laud Maduro’s priceless gesture to humanity. ‘’We have followed the Bolivarian Revolution’s path towards Western Hemisphere integration, right from formation of UNASUR to founding of the Community of Latin America and the Caribbean States (CELAC), the only body for independent hemispheric States excluding the US and Canada. The significance of Venezuela to the stability of the Americas is huge,’ stated Dr M’membe.